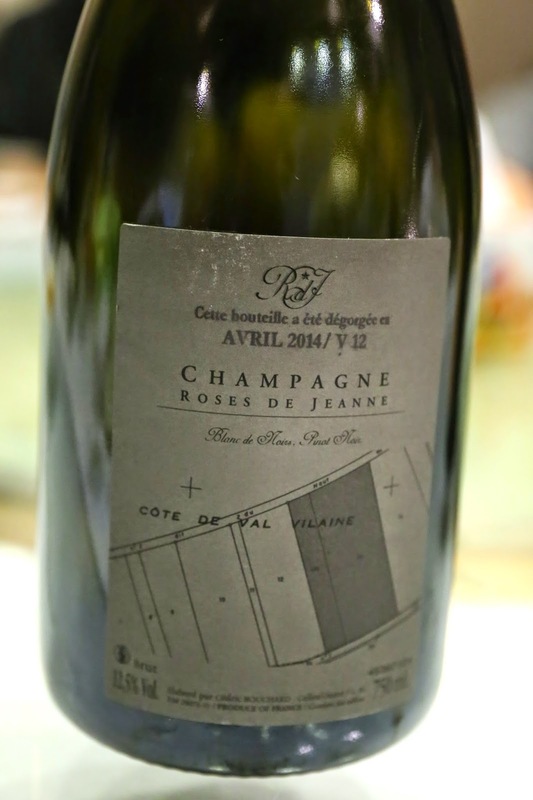 2012 Roses de Jeanne Côte de Val Vilaine Blanc de Noirs, dégorgée à Avril 2014 - delicious, smooth and round on the palate. 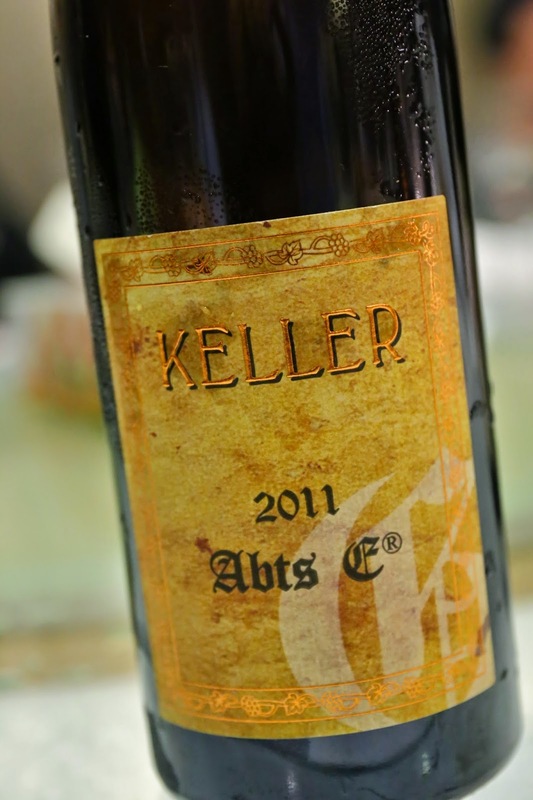 2011 Keller Westhofen Brunnenhäuschen Absterde Riesling trocken - classic nose of minerals, white flowers and plastic. 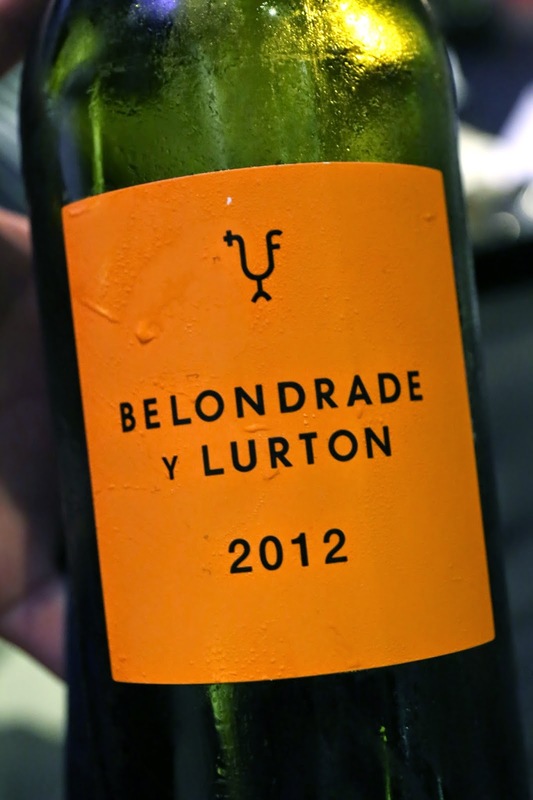 Definitely dry on the palate. 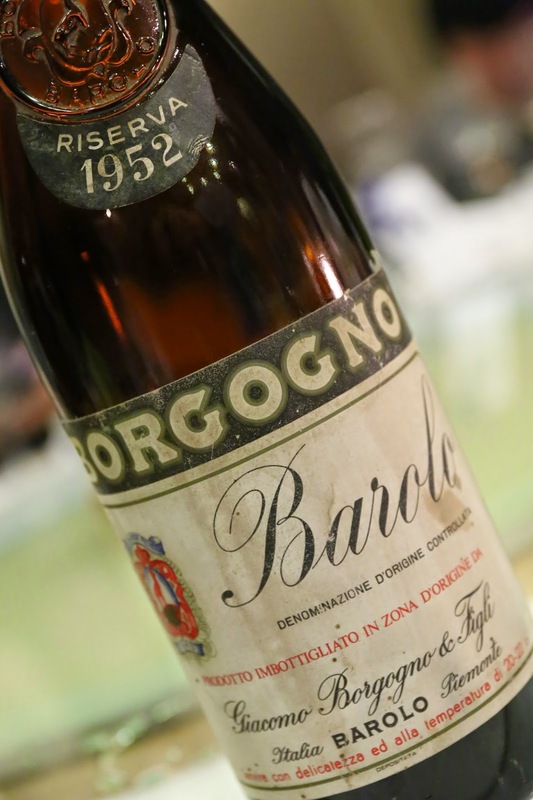 1952 Borgogno Barolo Riserva - initial nose of sweet fruit, followed by tea, salty plum, minerals, and smoke. Still alive and kicking. 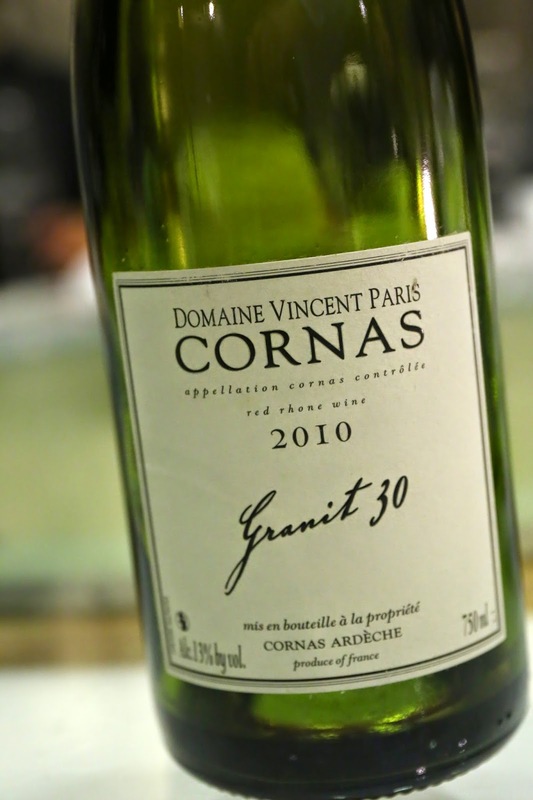 2010 Vincent Paris Cornas Granit 30 - ripe nose with wonderful notes of forest and potpourri. So fragrant and beautiful. 1995 Jos. Joh. 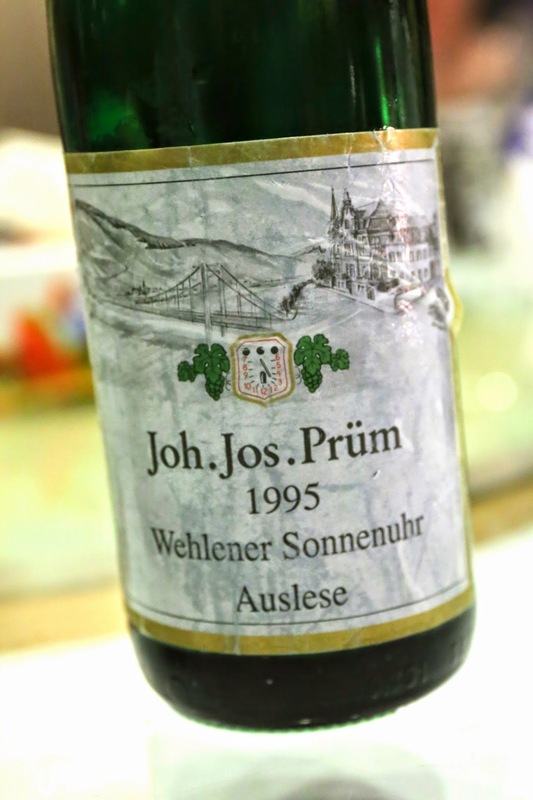 Prüm Wehlener Sonnenuhr Riesling Auslese - classic notes of minerals and plastic, with good amount of sweetness on the palate. Very round and smooth. 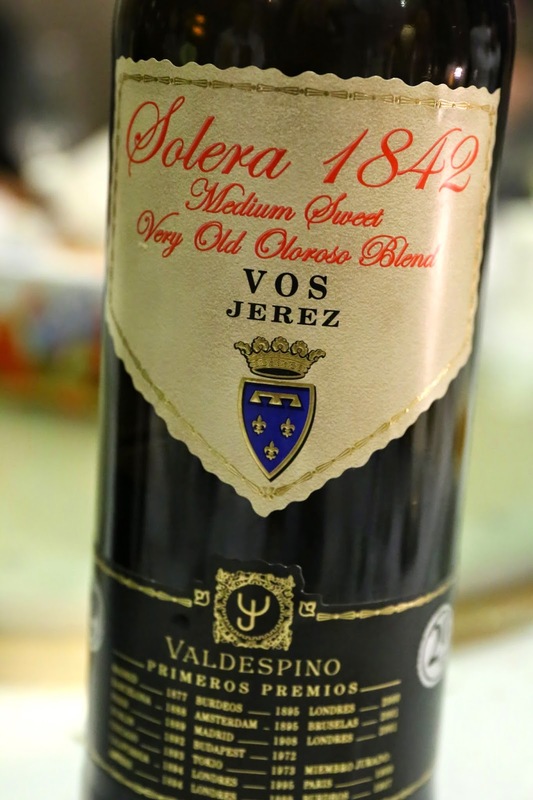 Valdespino Solera 1842 Medium Sweet Very Old Oloroso Blend VOS - classic, with nose that's like Shaoxing wine after soaking some salty plum in it. Wonderful. 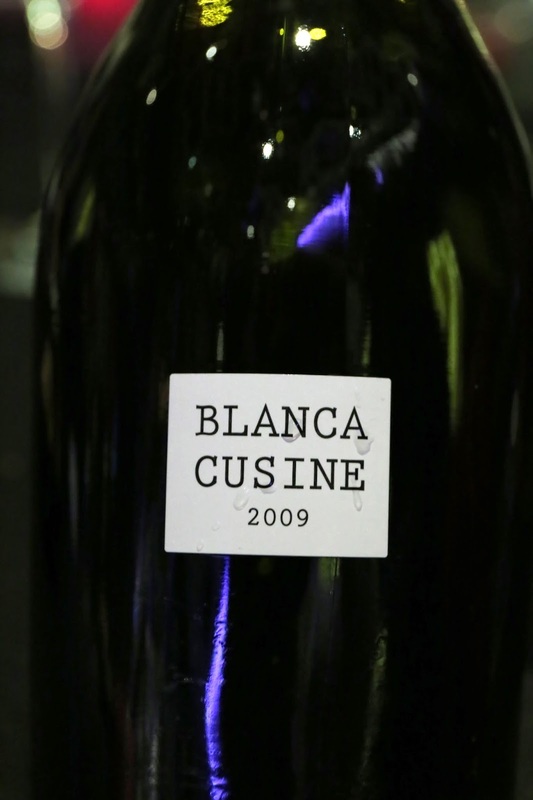 2009 Parés Baltà Cava Blanca Cuisiné - rounded on the palate with a slight bitter finish. Not a fan. 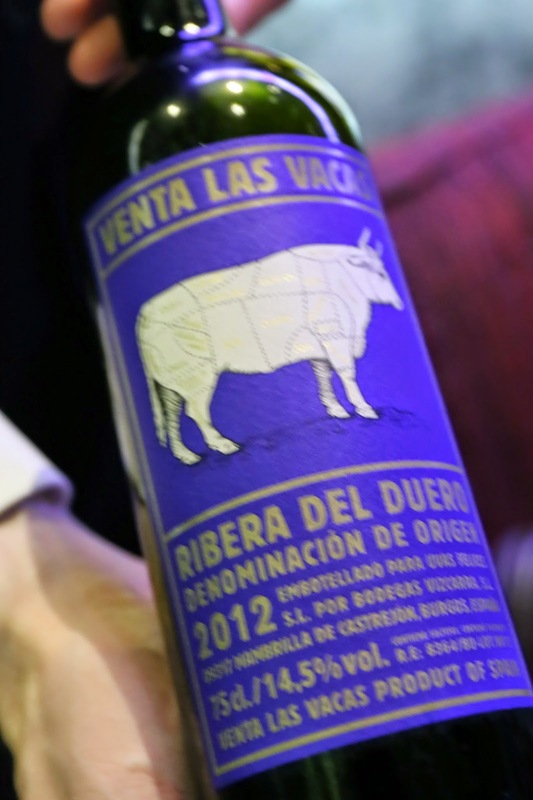 2012 Vizcarra Ramos Venta las Vacas - nose of ripe fruit, forest, and vanilla. Still pretty young, but the tannins weren't too harsh. 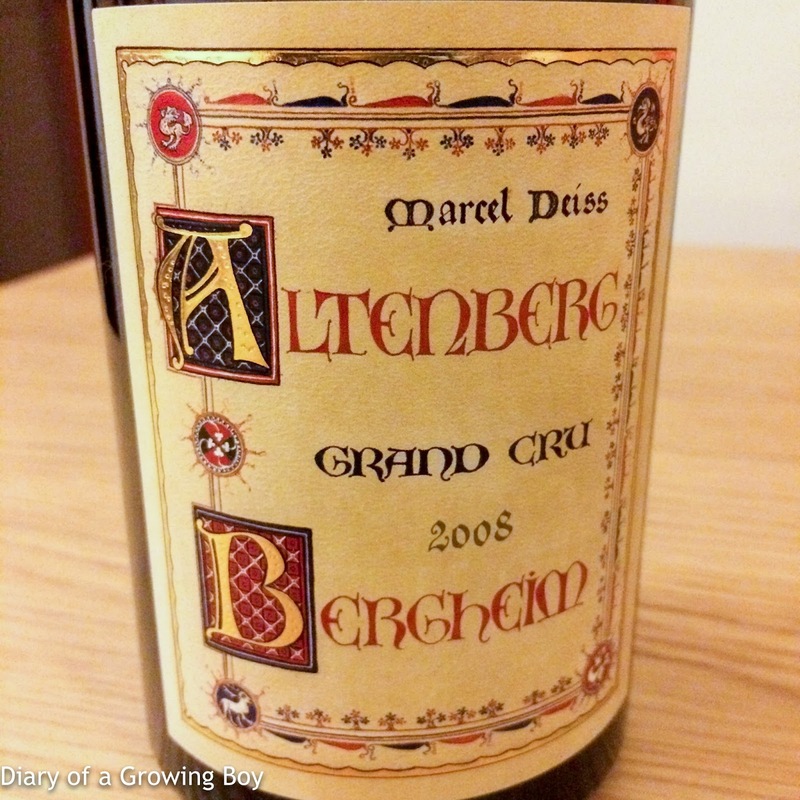 2008 Marcel Deiss L'Altenberg de Bergheim - very sweet on the palate, at least auslese level. A little viscous. Nose of straw and a little white flowers. Slightly bitter on the finish when warmed up. Dinner at Kanda in Tokyo. 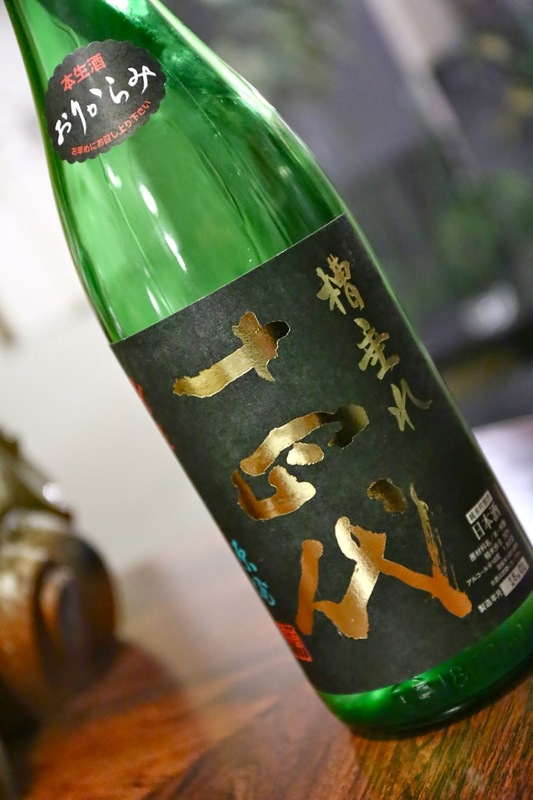 Juyondai Nakatori Junmai Muroka Namatsume (十四代 中取り純米 無濾過 生詰) - with a seimaibuai (精米歩合) of 55%. 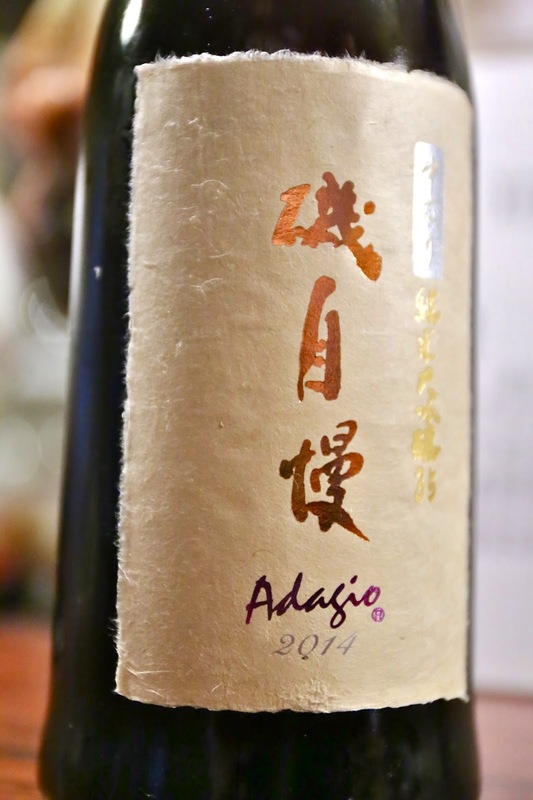 Very, very sweet and smooth on the front palate, then a little dry and spicy (辛口) at the back. Unfiltered and unpasteurized. Lunch at Quintessence in Tokyo. 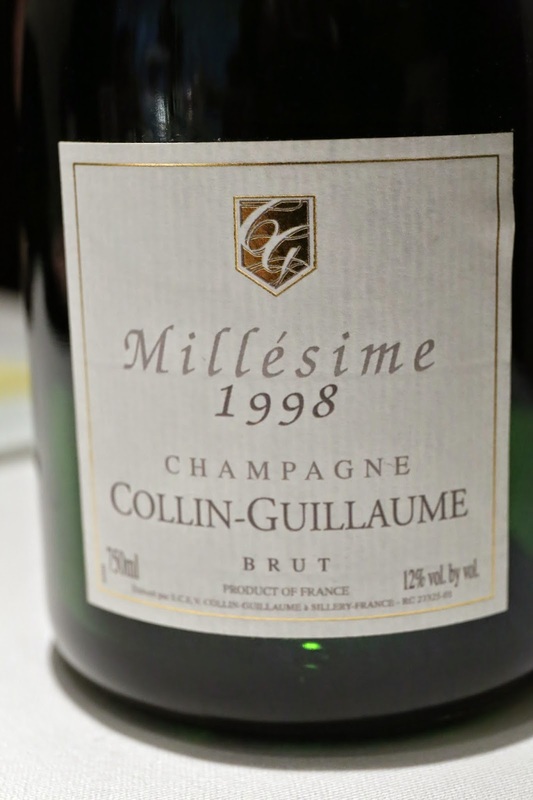 1998 Collin-Guillaume Brut - pretty yeasty nose, a little savory mineral, and later on the nose was pretty caramelized, like Chinese salty plum (話梅). 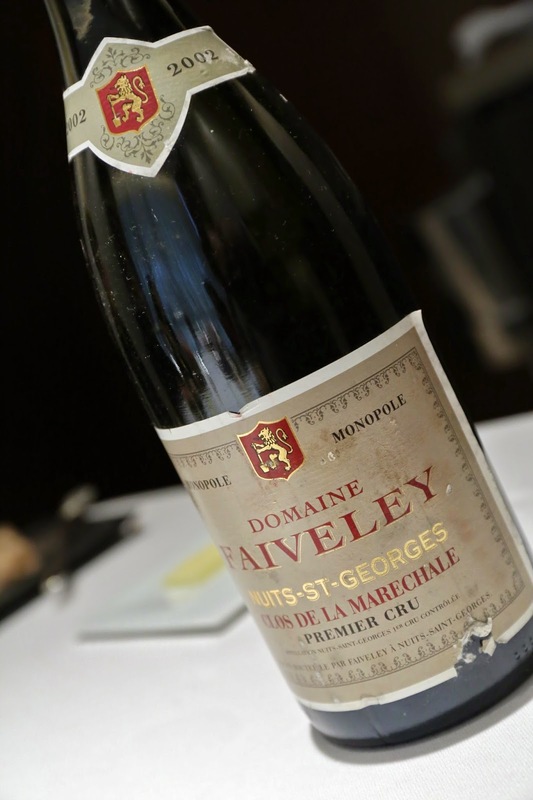 2002 Faiveley Nuits-Saint-Georges 1er Cru Clos de la Maréchale - forest notes, not too sweet, surprisingly not too fruity from a ripe year like 2002. More tannin here, more bitter on the palate than I expected. Also animal notes, and later, finally a little more fruit. 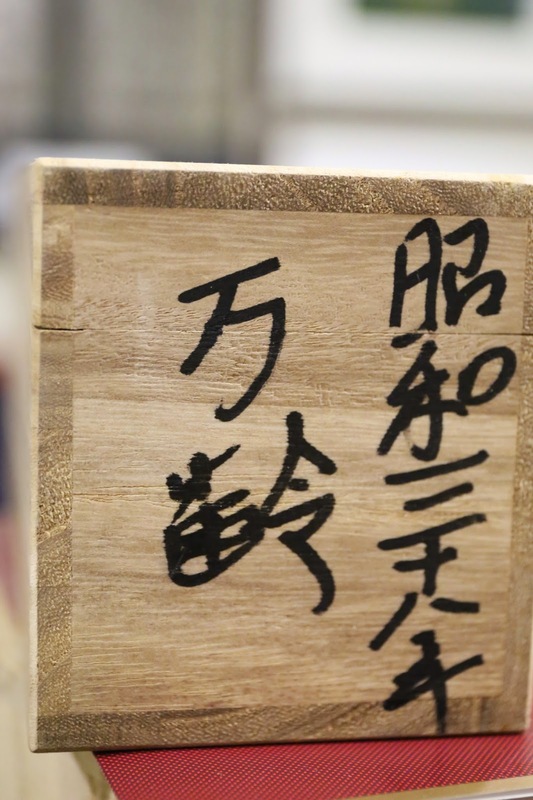 Dinner at Ishikawa in Tokyo. Dinner at La Ruée vers l'or in Tokyo. 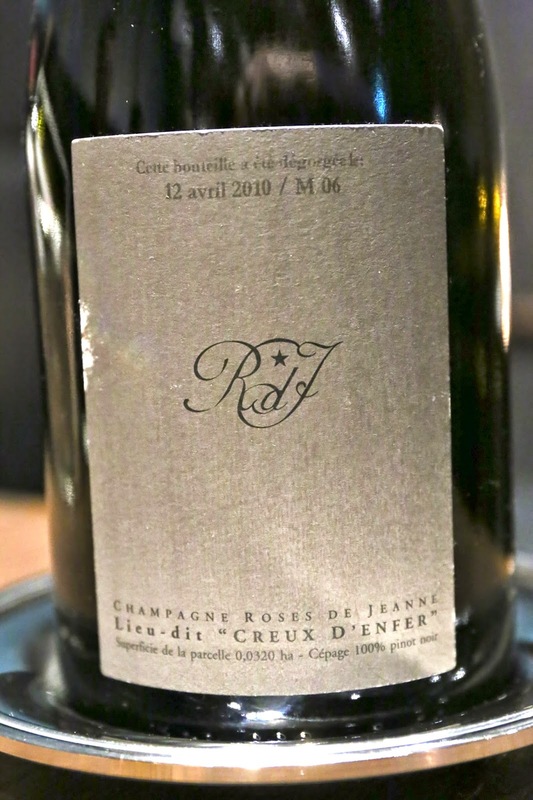 2006 Roses de Jeanne Le Creux d'Enfer, dégorgée a 12 avril 2010 - deeper flavors here, a little caramelized on the nose, a little mineral, strawberry notes. 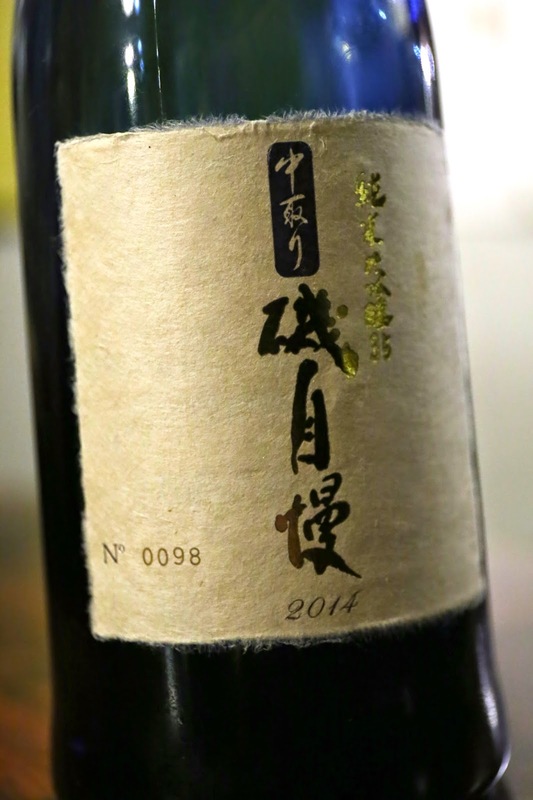 Ripe on the palate. Still such a beautiful wine. 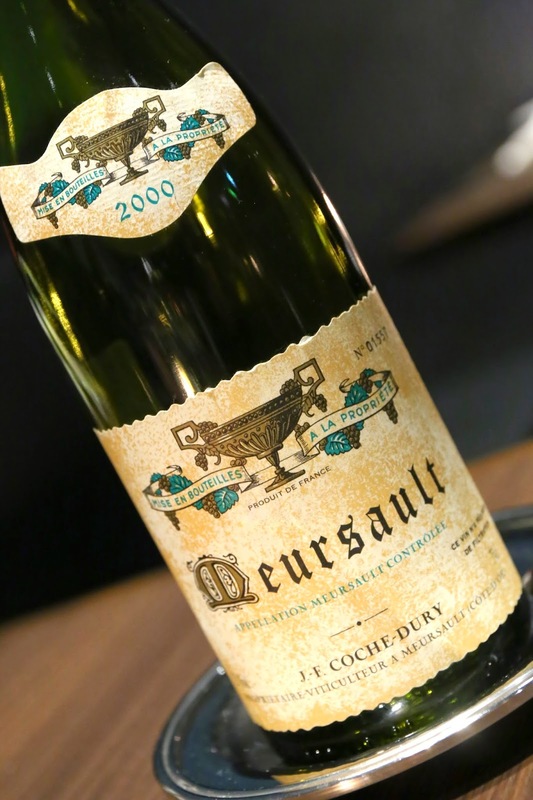 2000 Coche-Dury Meursault - as expected, nose was big and heavy toast, with roasted corn along with a nice degree of ripeness, and some sweet fruit. 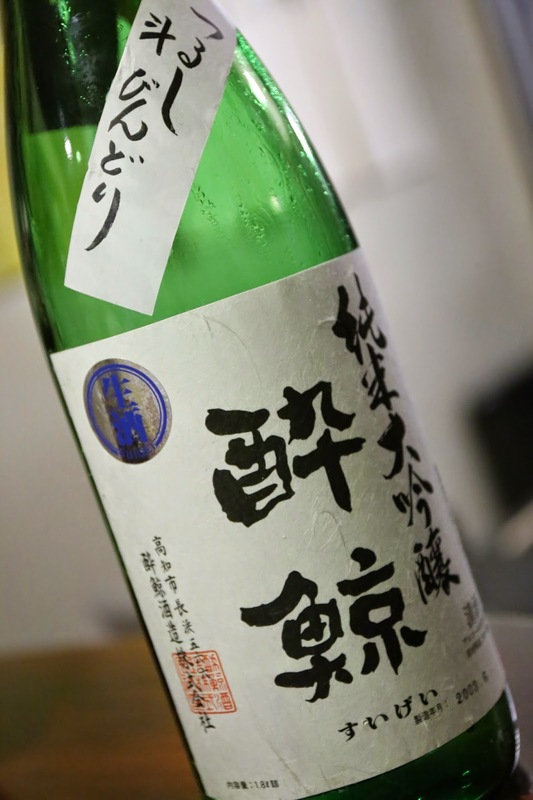 There was some ripeness on the front palate, but the acidity quicly caught up. Very, very beautiful as always. 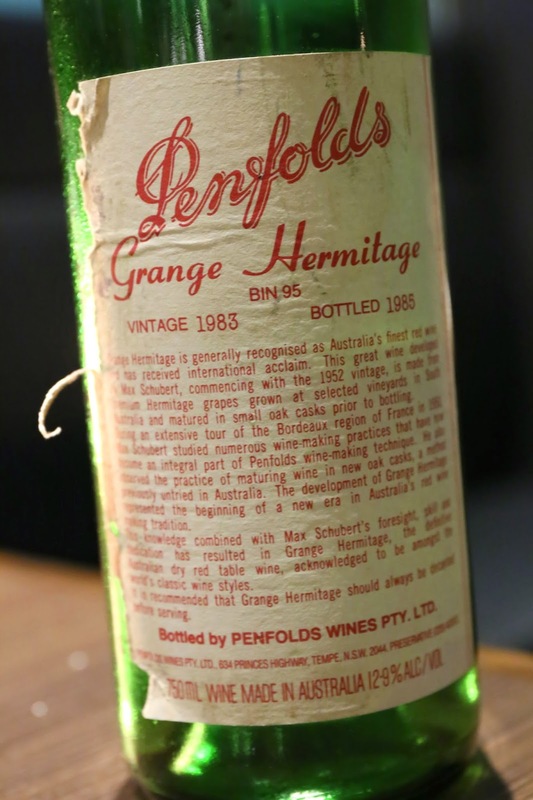 1983 Penfolds Grange - nose of coconut butter, vanilla, sweet, exotic spices, potpourri, a little mineral, almost a little savory, a little animal, and definitely eucalyptus. 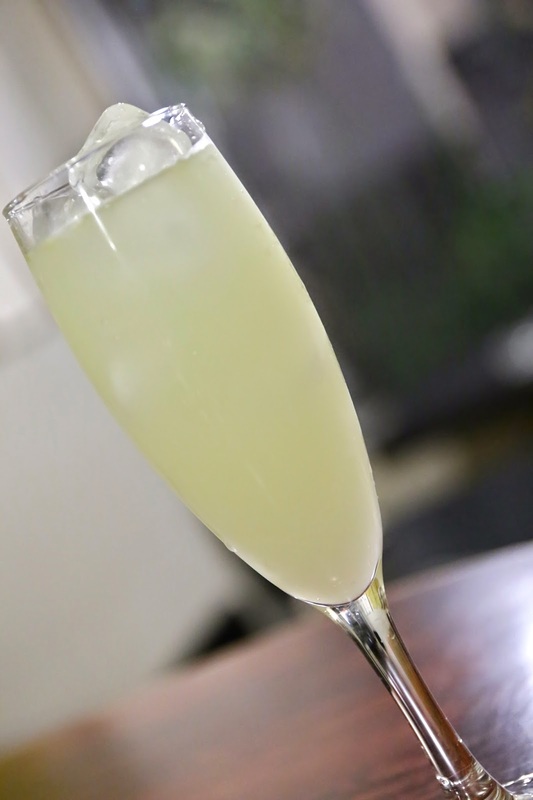 Drinking very well. 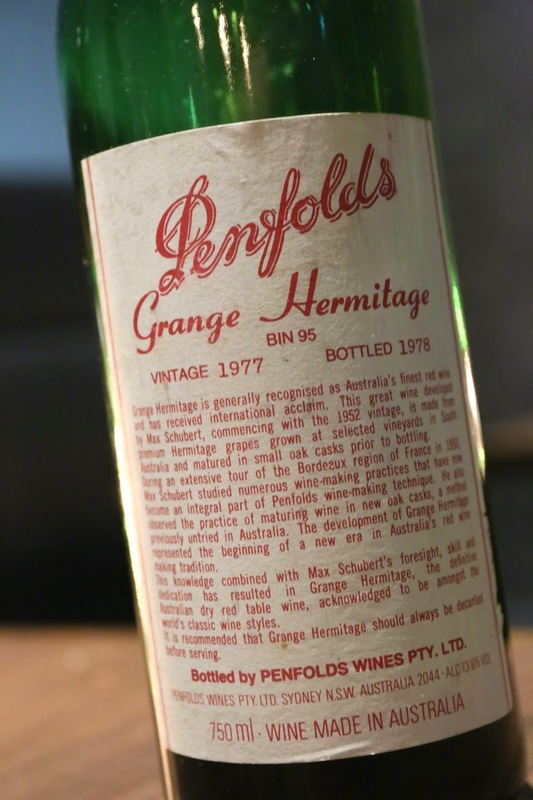 1977 Penfolds Grange - more muted nose here at first but opened up quickly. 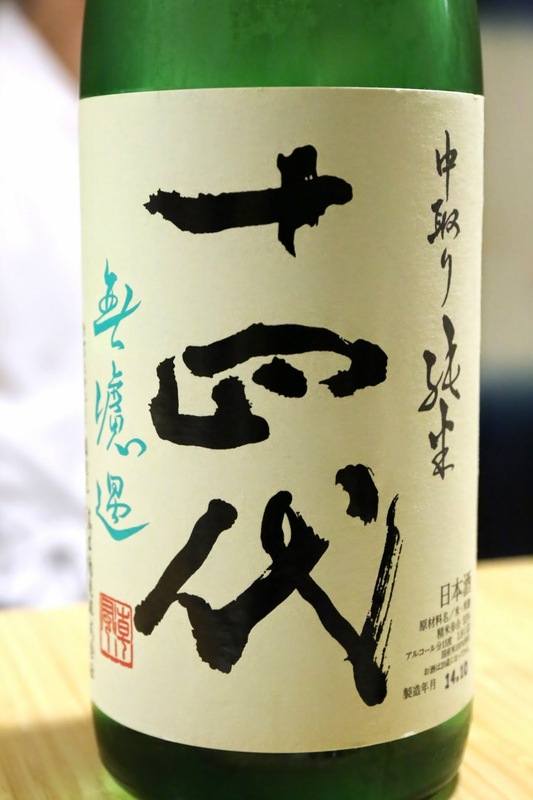 Sweet on the nose but less coconut butter and vanilla. A little more meaty here, and still got that eucalyptus.